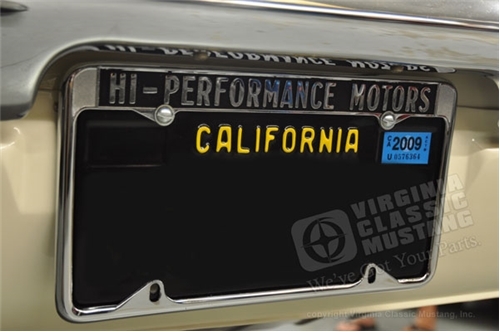 In the early '60's, Carroll Shelby and Lew Spencer had an automobile dealership named Hi Performance Motors. Cobras and GT350s were normally not sold directly from Shelby American, but many were sold through this dealership. 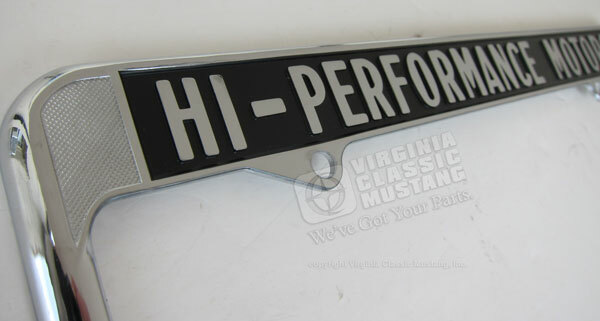 License plate frames with the Hi Performance Motors name are highly sought after by Shelby and other car enthusiasts. We finally have a gorgeous and authentic reproduction of this frame. It is zinc die cast and chrome - just like the original. The original manufacturer's name was even cast into the back, like the original - Robert W. Brown & Co. Inc. Downey, Calif.